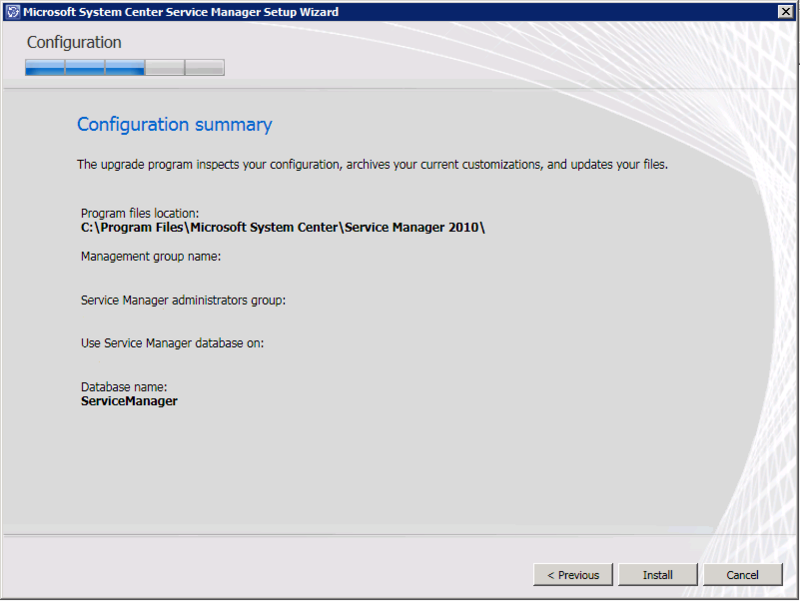 02:07:34:[GetManagementGroupPropertiesFromDB]: Opened the DB connection using Data Source=SERVER\SCSM;Initial Catalog=DWStagingAndConfig;Integrated Security=True;Persist Security Info=False. 02:07:34:[GetManagementGroupPropertiesFromDB]: Error: We hit exception type System.Data.SqlClient.SqlException. Message:The EXECUTE permission was denied on the object ‘p_MOMManagementGroupInfoSelect’, database ‘DWStagingAndConfig’, schema ‘dbo’. 02:07:34:Error:ERROR: Failed to get installed product details, Exception Type: System.Exception, Exception Message: System Center Service Manager is not in a valid state. 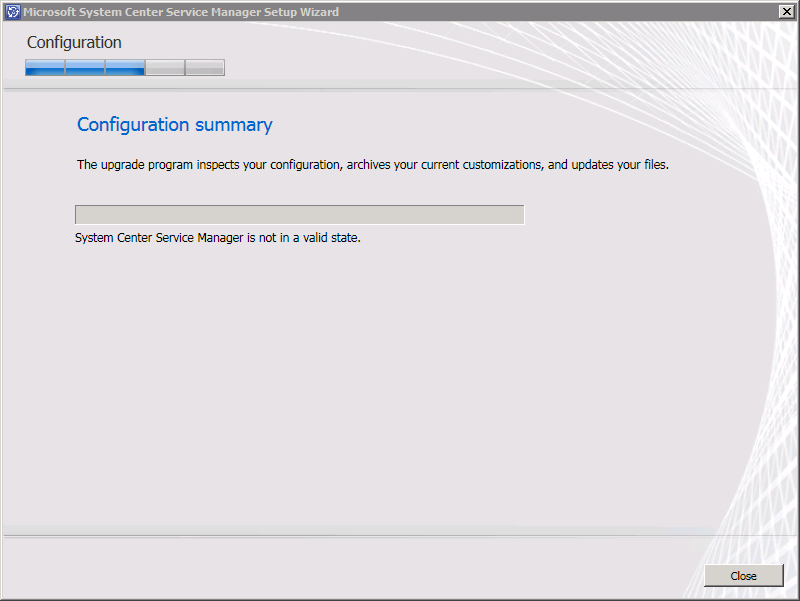 When running the upgrade with proper permissions the installation wizard will pass. This applies to upgrading both service manager management- and data warehouse server.